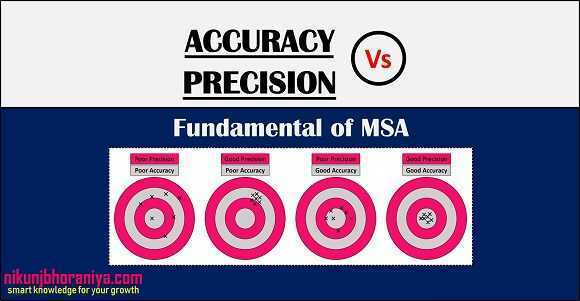 Accuracy vs Precision | What is the Difference Between Accuracy and Precision? 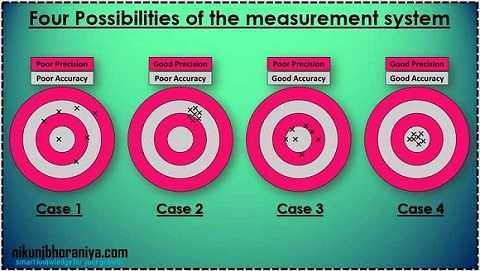 → The difference between Accuracy and precision are explained below with various examples, Accuracy and precision are a similar looking word but has a difference. → The Accuracy of a measurement system is the degree of closeness of measurements of a quantity to that quantity's actual (true) value. → Accuracy is how close a measured value is to the actual (true) value. → The Precision of a measurement system is the degree to which repeated measurements under unchanged conditions show the same results. → Precision is how close the measured values are to each other.